Hi there, I'm Roman. Welcome, fellow inbound marketing friend. This week, we discuss Hubspot, scarcity and Facebook's content problem. How To Start Investing In Content Marketing For Small Business - Don't ever think you're too small of a company to start producing content. This is a good read, especially around including stakeholders when building out your content marketing plan. Even if you think you can count on your IT folks to help you out with more technical content, for example, they may not be that willing if they weren't initially involved in the content vetting process. 21 Inbound Marketing Strategies to Grow Your Law Firm - Even though this infographic comes from the National Law review, these very specific and very useful tactics can be used across many industries. Very good references for this infographic too. HubSpot's Q3 Earnings Beat Estimates, Again - No surprise here - HubSpot continues to impress. What I particularly like is HubSpot spending money on R&D. "In HubSpot's breakdown of expenses, the company noted that research and development costs nearly doubled to $8.2 million from $4.8 million during the same quarter in the previous year." That alone should make you happy. A bunch of really smart people running around Cambridge, trying to make their product better. How Scarcity Changes Our Brains And Boosts Your Conversion Rates - Interesting read on the psychological effect of scarcity and the scarcity cues you can use on your landing pages. Remember that your site visitors are loathe to part with information. Ask only for what you need. And if you need more, do it through progressive profiling. 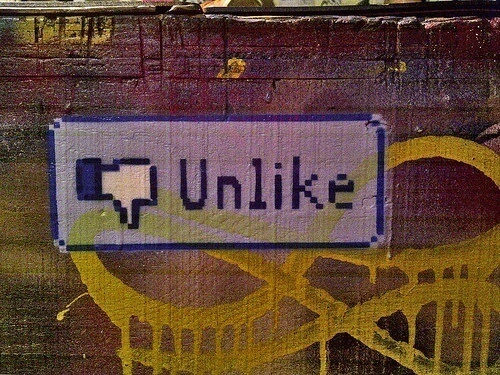 Facebook Prods Users to Share a Bit More - Facebook has a content problem. Facebook understands its content production is directly related to its ad revenue. "In the third quarter, market researcher GlobalWebIndex said 34% of Facebook users updated their status, and 37% shared their own photos, down from 50% and 59%, respectively, in the same period a year earlier." That's a pretty precipitous drop. A trend to continue to watch. Make it a great week fellow inbounder. Finish off the year strong!